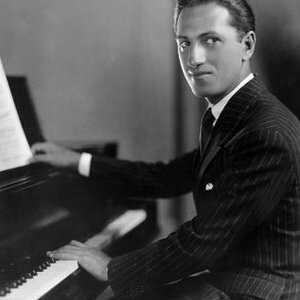 George Gershwin (September 26, 1898 ? July 11, 1937) was an American composer. He was born Jacob Gershowitz in Brooklyn, New York to Russian Jewish immigrant parents, the second of four children. George wrote most of his vocal and theatrical works together with his elder brother, lyricist Ira Gershwin. Among the many songs the two composed which are now considered jazz standards (widely performed and recorded by jazz musicians) are "But Not for Me," and "Embraceable You," as well as "The Man I Love," and "Someone to Watch Over Me. Undoubtedly, their song most recorded by other musicians is "Summertime" from Porgy and Bess. (Miles Davis, Charlie Parker, Billie Holiday, John Coltrane, Ella Fitzgerald and Louis Armstrong, Bill Evans, Duke Ellington, Nina Simone, Sarah Vaughan, Stan Getz, Chet Baker, Janis Joplin, Jimi Hendrix, Brian Wilson, Paul McCartney, and Willie Nelson are among the hundreds of artists who have recorded the song.) Gershwin composed successfully both for Broadway and for the classical concert hall. Perhaps most notably his epic works An American in Paris and Rhapsody in Blue have been featured on many classical music compilations, in Disney's animated film Fantasia 2000, and are roundly regarded as great music of the 20th century.